Exxon Mobil Corp., the U.S. energy behemoth, signed deals to move ahead on a proposed multibillion-dollar petrochemical project and a gas import terminal in southern China, contrasting with trade tensions between the two nations that may escalate this week. The Irving, Texas-based company signed cooperation framework agreements with the Guangdong provincial government, it said in a statement Thursday, following a preliminary deal in November. The chemical complex, which is expected to start in 2023, remains subject to a final investment decision, it said, without providing cost details. The investment comes as U.S. President Donald Trump may press ahead with tariffs on another $200 billion of Chinese goods after a public-comment period concludes Thursday, which China has vowed to meet with retaliatory levies, including on American liquefied natural gas exports. The agreement Thursday also includes the provincial government’s support of the Huizhou LNG receiving terminal, which Exxon said it plans to participate in, including supplying LNG, according to the statement. That positions Exxon to become one of the first global energy majors to invest in China’s gas infrastructure, allowing it to tap the nation’s surging demand for the fuel. “The LNG project is at very initial stage and it is a potential opportunity under ExxonMobil’s evaluation,” Allan Guo, an Exxon spokesman in Beijing, said in an email. Exxon has expanded its petrochemicals capacity in Asia in recent years with the purchase of the Jurong Aromatic Corp. plant in Singapore, which is also home to its largest integrated oil refinery. In China, it partnered last decade on a project in the southern province of Fujian with China Petroleum & Chemical Corp. — the state refining giant known as Sinopec — and Saudi Arabian Oil Co. The China petrochemicals project, planned to be built at the Huizhou Dayawan Petrochemical Industrial Park, will include an ethylene plant with annual capacity of 1.2 million metric tons, two polyethylene trains and two polypropylene lines. Also in the area, Royal Dutch Shell Plc and China National Offshore Oil Corp. jointly own an ethylene plant with a capacity of 1.2 million tons annually. China has taken steps to open more industries to foreign investment, with BASF SE signing a deal in July to spend as much as $10 billion on a second chemical complex in the country, which will be fully owned by the German company. 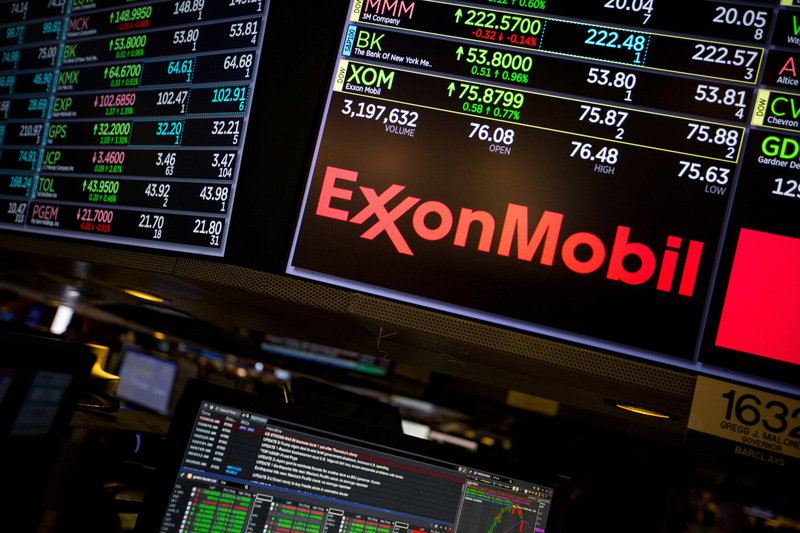 The Exxon development Thursday was reported earlier by the Guangzhou Daily, a local publication, which said the company also signed preliminary agreements with Huizhou city, as well as state power company, Guangdong Yuedian Group. There’s been a void of direct Western participation in Chinese LNG import infrastructure, Credit Suisse Group AG’s director of Asia energy research Saul Kavonic said, adding this marks a “salient step” for Exxon. “Being able to participate in import infrastructure and downstream positions enables opportunities for greater market capture and margins,” he said.